This display reference design featuring TI's DLP3010 (.3 720p) DMD chipset, was designed to enable low power and mobile HD display applications used in accessory projectors, wearable displays, signage, industrial and medical displays . The chipset used in the design comprises of DLP3010 (.3 720p) DMD, DPC3438 display controller and DLPA2005 PMIC/LED driver. 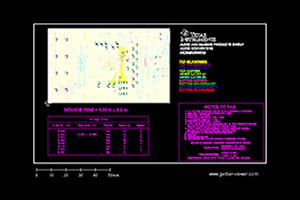 This reference design is tested and implemented on a EVM available for purchase on ti.com. The reference design includes firmware, GUI and getting started guide.